, a vet, the animal shelter, or a groomer. Now that you have an idea of whether it needs a haircut or just a bath more questions have popped up. Like how often should my dogs hair be cut? How often does it need a bath? Should I cut it’s nails? What do I do in between my dogs appointments? You just picked up your new dog and it is in desperate need of a haircut but you have no idea how often to get it cut. Make sure to do your research and call around to different grooming shops to find the best one for you. But how do you know if it is a good place for you and your pet? In most shops the groomer will come and talk with you directly on how they will groom your pet and what style of cut you’re looking for. 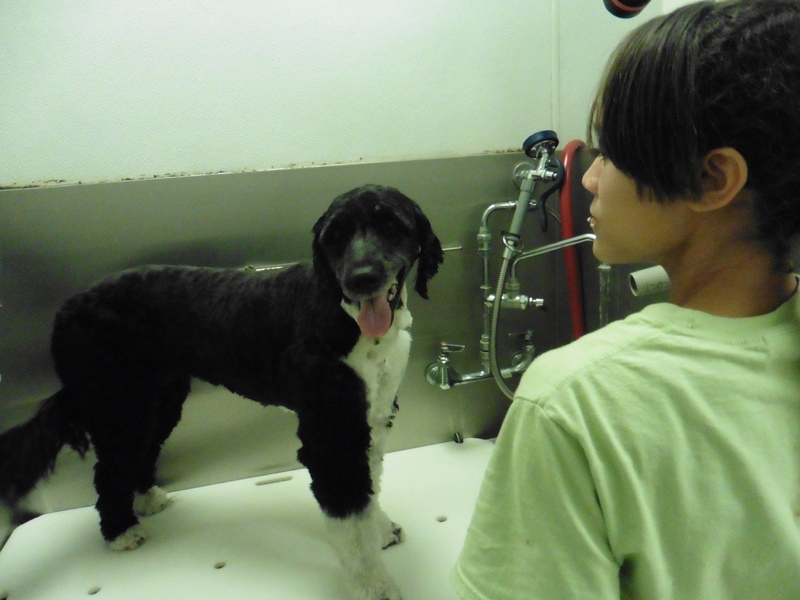 Don’t be afraid to ask as many questions as you want, you want to make sure that you are completely comfortable leaving your pet with the groomer. Find someone who will work with your pet if they are a little bit scared or if you want a particular style. requent nail trims. If the quicks are too long, the best way to get them back is to get a nail trim every 2 to 3 weeks. Some groomers offer two different ways to cut your pet’s nails: there’s the more traditional way of using just a pair of nail clippers and the other alternative is dremmeling the; more groomers are leaning towards this method. Both ways are effective.